After starring as a gifted but troubled computer hacker in ABC’s The Code, Ashley Zukerman is set to play a guy whose children have psychic powers in Childhood’s End. Zukerman joins Charles Dance and emerging star Osy Ikhile in the miniseries for the US Syfy network, based on a classic Arthur C. Clarke novel, which begins filming in Melbourne next month. Published in 1953, Clarke’s novel details life on Earth while it is under the benign control of a race of aliens, the Overlords. From their hovering UFOs, the Overlords spend decades turning Earth into a Utopia, which in the process also destroys humanity's identity. Dance, who plays Tywin Lannister in Game of Thrones and starred in Mark Hartley’s Patrick, is cast as an Overlord named Karellen, who is an ambassador for his species on Earth. Zukerman will play Jake Greggson, an American production designer with artistic sensibilities whose children begin to exhibit psychic powers. Ikhile, who just finished shooting Peter Yates’ Tarzan with Alexander Skarsgård, Christoph Waltz and Margot Robbie, is a character named Milo. 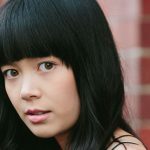 According to IMDB.com the cast also includes Zara Michales (Home and Away, Underbelly) and Australian-born, US-based Tanc Sade, whose credits include Sons of Anarchy and Matador. Matthew Graham, creator of BBC's Life on Mars and Ashes to Ashes, is adapting Clarke’s novel and the director is s Brit Nick Hurran, whose credits include Doctor Who and Sherlock. The producers are HayPop Pty Ltd’s Jeff Hayes and Brett Popplewell.